British artist Gazelle Twin presents her new audio visual performance show for two vocalists, 'Kingdom Come'. Three tracks from the AV show, created in collaboration with video directors Chris Turner and Tash Tung, are now available on limited edition vinyl via The Vinyl Factory. Artwork by Jonathan Barnbrook. 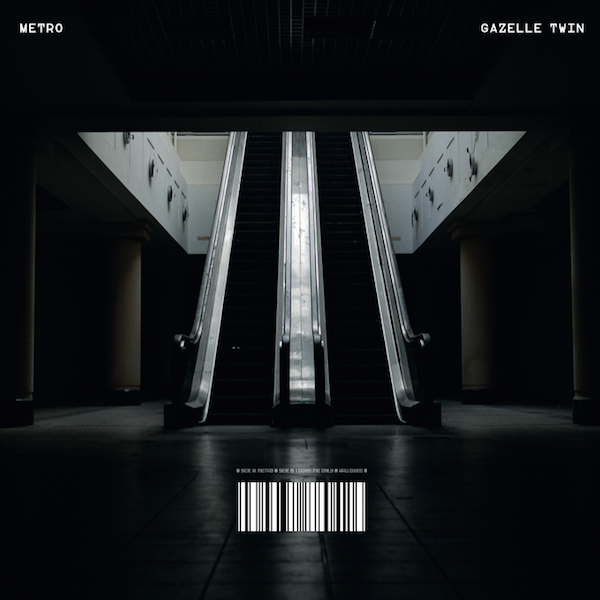 The conceptual performance for two vocalists is staged in six chapters, incorporating electronics, film, and the brand new soundtrack from Gazelle Twin, created from samples and live vocal manipulation. With the piece set on treadmills against a manic, illusory landscape, Kingdom Come places heightening physical demands on the performers, resulting in an exhausting, otherworldly climax. The artwork for the EP has been designed by Jonathan Barnbrook whom has used the track and A.V video for 'Metro' as his inspiration. Jonathan recently featured in the new Design museum exhibition, 'Designs Of The Year', with Jonathan's design for David Bowie's 'Blackstar' album.